The pdf version is all correct. 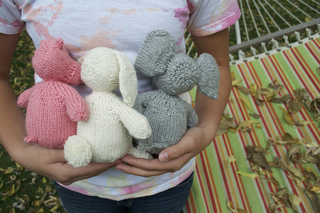 The pattern for the Wee Ones is now available for yarn shops in print form through Alana Dakos’ Never Not Knitting Press. 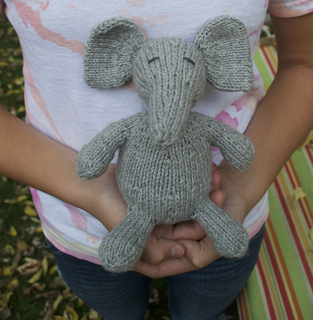 The pattern includes 3 seamless top-down toys, a hippo, bunny and elephant and a bonus top-down seamless sweater that fits all of them! 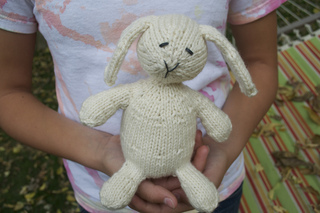 The Craftsy.com online course will take you through the steps to make the Wee Ones so be sure to check that out as well. Original post: I am so thrilled to offer my first online course through Craftsy.com. This is a three-in-one pattern! 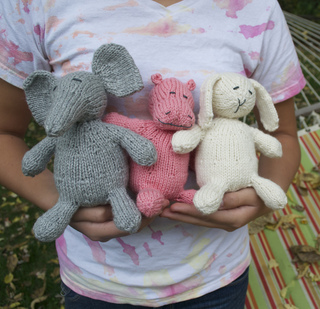 I designed these three seamless top-down toys that all have the same body and three different heads to create an elephant, a hippo and a bunny. 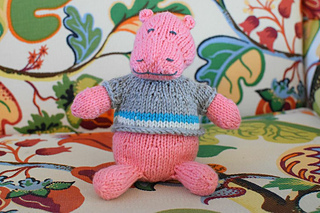 There is also an adorable bonus pattern for a tiny Wee One stripey top-down sweater that is also seamless. 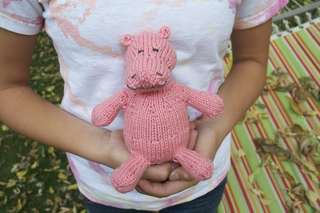 Right now this pattern is only available through Craftsy.com when you sign up for the course.